Simple Pleasures. 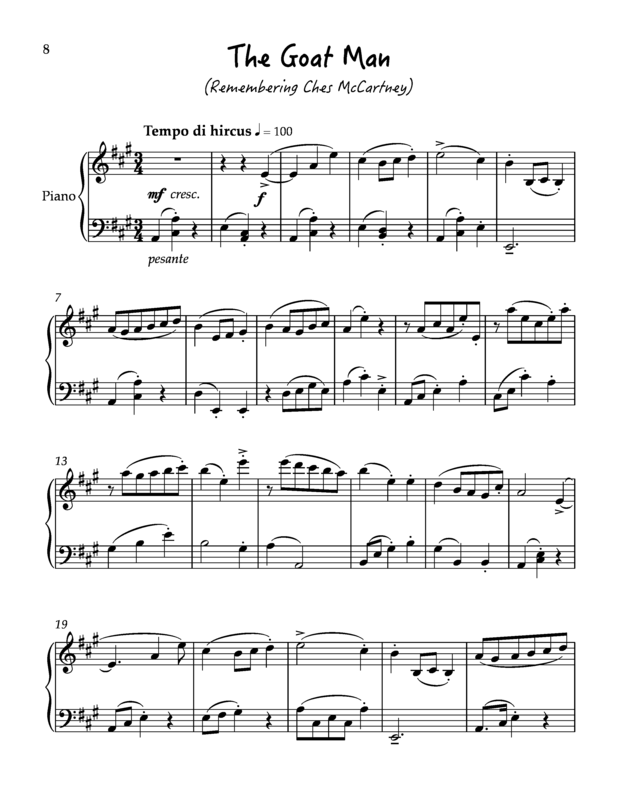 A collection of seven short pieces for solo piano at the early intermediate level. 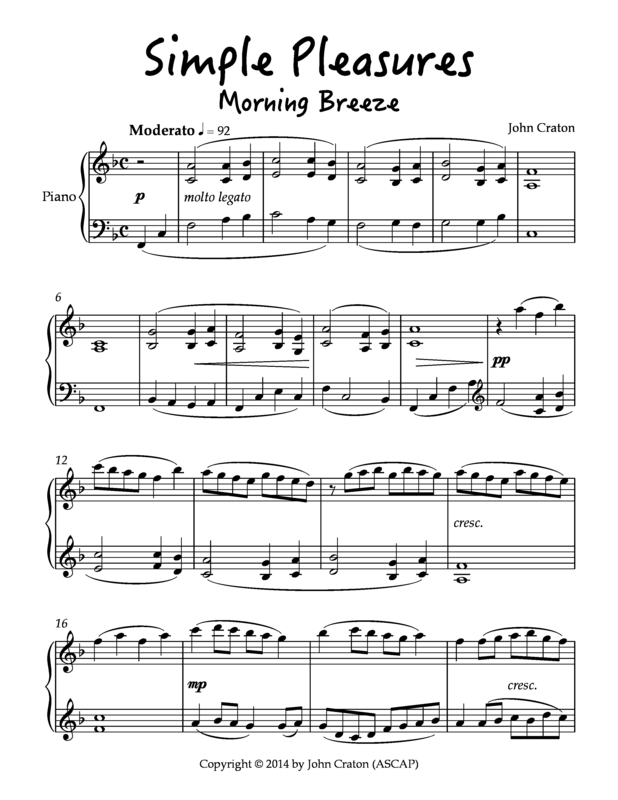 The movements are titled “Morning Breeze,” “Kites,” “Sleeping Cat,” “The Goat Man,” “Leapfrog,” “Stargazing,” and “The Man in the Moon.” Each movement depicts a fond memory from the composer’s childhood. 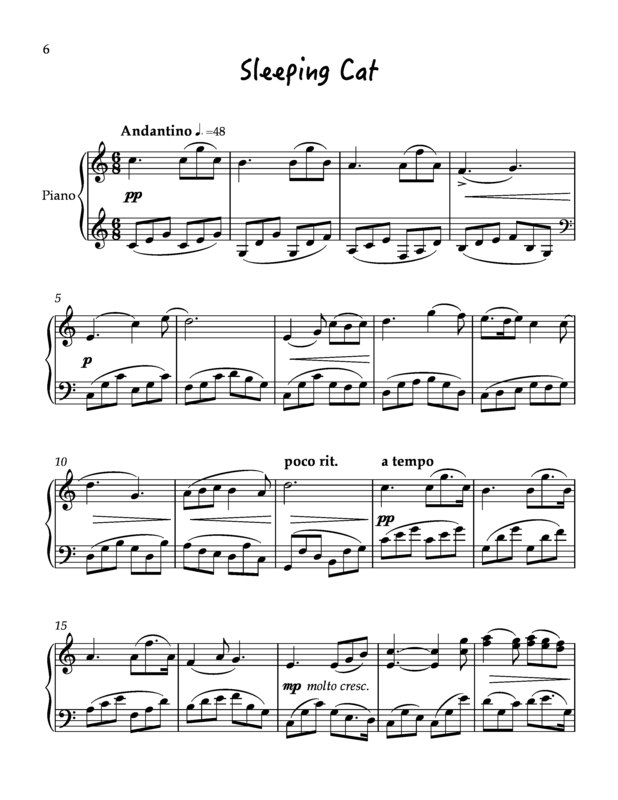 Performance Time: Individually app. 1½ to 2½ min. ; Total app. 13 min.